Upon first glance the Nissan looks big, bold and brash. It is not until you get up close to the car that you realise it isn’t actually that big. It is still bold and brash; however, I later discovered that to be part of its charm. Once in the cabin you feel safe and secure. Everything is within easy reach; you don’t need gibbon like arms to reach the stereo or climate controls. There are a few design issues I came across though. The heated seats controls are located underneath the front centre armrest, if like me you use this on a day to day basis, it becomes a pain having to move the armrest up each time you want a toasty behind. Especially when driving! Equally, the fact the steering wheel (also a touch on the small side) only adjusts up and down is bug bare of mine, once you have got your seat in the correct position you then realise you need to move it forward so you can actually reach the steering wheel. Once up and running, the Tekna is very well equipped model, all aspects of the Nissan are easy to use. Bluetooth can be a technical nightmare for some but not in this. Simply search it on your phone, hit connect and you’re done. Easy! Next stop, the sat nav. Again simple and easy to use as unlike some brands, the Nissan uses simple instructions and does not try to over complicate the matter with long a winded process. As I pulled out of the dealership, I was pleasantly surprised by power available from the 1.5dci 110ps diesel engine. The car has got a power band and will keep pulling high into the revs. It was only after playing around and pushing various buttons that I found the car has three engine management options, Normal, Sport and Eco. As you can well imagine, Sport gives you all the engine’s power in a nice big lump. This can affect traction and, from time to time, I found the front wheels would struggle to grip so this is not an easy setting to use in slow start stop traffic. For this situation the Normal or Eco setting is best because it allows you to move along with the traffic without feeling like you are about to be launched into the back of the car in front of you. In Eco mode the power is restricted (so it feels anyway) and acceleration is rather dull, but as the name suggests it there to help you get the most impressive fuel consumption. In this mode I achieved 50mpg without even trying; where as in sport mode, this dropped to 41mpg. 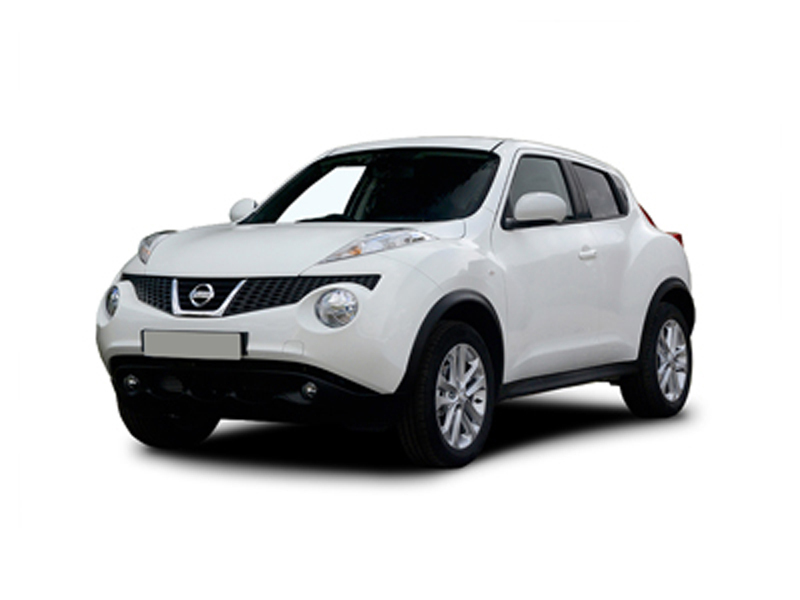 The Juke is very clever at giving the driver the impression they are driving a much larger vehicle. This, I found, was a good thing. You get a good amount of road visibility yet, the car does not roll or wallow like a barge in the bends. The steering is positive and responsive, letting you know what the front wheels are doing, unless you are in sport mode and being a bit over zealous with the throttle. Then the chassis feels it is struggling somewhat. Couple the bold brash looks with the fuel consumption, low emission (104g/km) and performance, all this makes for a very attractive prospect in the mini SUV market.